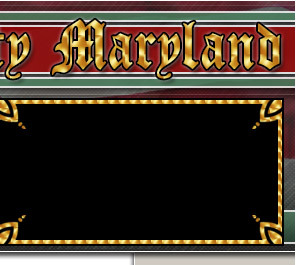 The Frederick County Volunteer Fire & Rescue Association Inc. 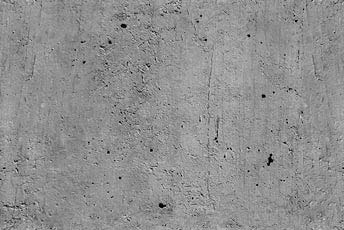 Volunteers, access Frederick County online training here. 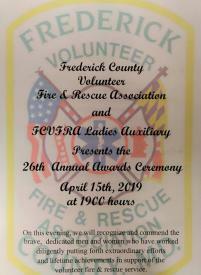 On Monday, April 15, at the Walkersville Volunteer Fire Hall, the Frederick County Volunteer Fire and Rescue Association and Ladies Auxiliary held their 26th Annual Volunteer Recognition Ceremony. 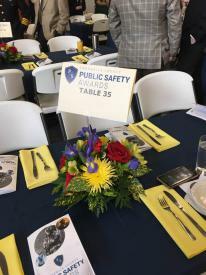 The Annual Public Safety Awards honor the Law Enforcement, Fire & Rescue and Emergency Service professionals protecting Frederick County. Each year the Chamber of Commerce celebrate Frederick County’s bravest men and women, those who place service before self. These local heroes make sacrifices that keep our businesses, homes and our families safe. The Frederick County Volunteer Fire and Rescue Service is one service many people take for granted until they need emergency assistance. The dedicated men and women who provide this service stand ready, willing, and able to respond. While many of us hope we never need to call upon the fire and rescue service, we should take a moment and appreciate their efforts and dedication.